Can Dogs Eat Blueberries? Are Blueberries Good For Dogs? Yes, dogs can eat blueberries. 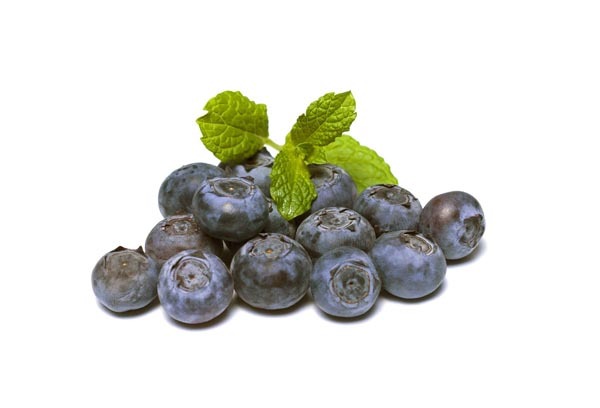 Blueberries are a great source of vitamins, minerals, antioxidants, and more. This fruit is a healthy snack for both large and small dogs, and most pups love them. Blueberries are low in calories and contain high amounts of vitamin C, fiber, and phytochemicals (naturally occurring chemical compounds found in plants). Vitamin C and fiber are vital components of proper canine nutrition. Phytochemicals are linked to several aspects of health, including the ability to fight cancer in humans. Blueberries are also filled with antioxidants and have been shown to improve the health of animals, as well as humans. Antioxidants, like those in blueberries, help fight free radicals, which are responsible for cellular and molecular damage in dogs and humans. As an added bonus, studies show that adding antioxidants to a dog’s diet reduces the effects of brain aging, which is great if you have a senior dog. You can feed your dog both fresh and frozen blueberries. As with all treats, make sure to only feed your dog this fruit in moderation. Blueberries are small, which means you don’t need to cut them up. But there are potential risks, such as choking, especially to smaller dogs. All treats should make up no more than 10 percent of your dog’s daily diet. Just as you would do for any other fruit or vegetable, make certain that the blueberries are thoroughly washed to remove any pesticides or dirt prior to giving them to your dog. Consult your veterinarian if you have questions or concerns about feeding blueberries to your dog, and monitor your dog closely after giving blueberries as a treat for the first time. See more fruits that are great snacks for dogs by watching the video below. Here at the AKC, we field many queries from anxious dog owners about what is and isn’t safe for their canine companions to eat. Questions range from the obvious (“Can dogs eat steak bones?”) to the trendy (“Can dogs eat quinoa?”) Check out more “Can dogs eat…” articles on AKC.org to see what foods could be harmful to your dog, including cherries, avocados, and onions.